Aquarium snails are pretty underappreciated and underrepresented on most aquarium websites. They’re usually seen as pests instead of an actual addition to your aquarium, which is a shame as there are tons of beautiful species available. Not all of them reproduce quickly, and most can actually help you out with algae control. Looking through the Aquariadise archives, I seem to be guilty as well. Not a single snail post! Time for snail representation – here’s a list of some beautiful and easy to keep snail species. If you came here looking for a way to deal with pest snails like Malaysian trumpet snails, bladder snails or pond snails, have a look at this article. Freshwater Nerites (pictured above) are among the most popular aquarium snails because of their exceptional algae eating abilities. Although they won’t do all the work for you, they definitely help. Supplement their diet with algae wafers, though, especially when algae are running low. To create an effective algae cleanup crew, get at least around 5 of these snails – they don’t reproduce in the aquarium, so don’t worry about them becoming pests. Be sure to close all holes in the lid, because some Nerites are true escape artists that will try to get out of the aquarium when water conditions are not ideal. You can buy Nerite snails online here! I was always under the impression that anything from Sulawesi would be just as difficult to care for as Sulawesi shrimp – I was wrong. When kept at temperatures around 81-86 °F/27-30 °C with peaceful tankmates, Sulawesi snails are actually easy to keep, interesting to watch and beautiful. They are omnivorous, so feed plant-based foods like algae tablets and fresh veggies as well as foods meant for omnivores/carnivores. 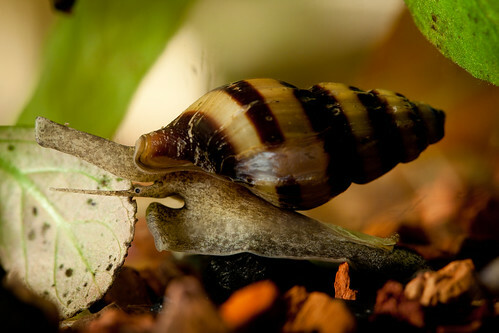 Tylomelania snails will breed in the aquarium without much difficulty, but most sources report one juvenile at a time. This means they won’t become pests like pond snails or trumpet snails. This snail is not very well-known in the hobby – I’m not sure if they even have a common name. They’re sometimes referred to as freshwater limpets, but are actually a type of flat nerite snail that, unlike limpets, doesn’t breed in freshwater. I was lucky enough to stumble upon them myself. I wanted to include them in this list because of their algae eating abilities, which are pretty extraordinary. In fact, they eat so much algae that it’s recommended to not clean the back of the tank so they don’t starve. Although there is not too much info out there on their requirements, they likely appreciate the same water conditions as their ‘normal’ nerite cousins. One of my Septaria snails showing the teeth it uses to eat algae. If you’re considering getting a puffer fish or clown loach to get rid of pest snails like pond snails or trumpet snails – reconsider. Both these species are on the list of the worst beginner fish for a reason. Don’t worry, though, as the assassin snail can help you get rid of pest snails much more easily. And it looks very pretty while doing so! Clea helena is a carnivorous snail that turns cannibalistic when it encounters other snails, and eats them alive if it gets the chance. Many fishkeepers report a drastic decline in the amount of pest snails in their aquarium after introducing a few assassin snails. Although these assassins reproduce in freshwater, they tend not to become pests because the breeding stops once the food supplies run out. And if they do keep reproducing, there’s a good chance you’ll be able to find another aquarist with a snail problem who is willing to take a few. Please be very careful when keeping assassin snails. If these snails escape into the wild they can do a lot of damage. You can find a full assassin snail caresheet here. You can buy assassin snails online here! Mystery snails aren’t much of a mystery anymore: they are closely related to apple snails. However, that doesn’t mean they’ve lost their charm. These snails are a favorite among aquarists because, unlike many of their cousins, they leave plants alone and are legal to keep in the United States. They come in multiple colors, help remove algae and make a fun breeding project for beginners. Because mystery snails can reach a size of 2″ (5cm), you should avoid them in any aquariums under 15 gal (57L). They produce a lot of waste and their bioload is just too high for smaller setups. Leave a little room between the water line and the top of the tank, as mystery snails breathe air and will usually deposit their eggs out of the water. Be sure to close any holes that your snails might fit through to prevent them from going exploring and falling out of the aquarium! You can buy mystery snails online here. This page does not include snail species that can be considered pests, like ramshorn snails, Malaysian trumpet snails and pond snails. However, there is no reason to avoid these species; they are just as fun to keep and interesting to look at. They breed very rapidly, but only in circumstances where there is a surplus of food. Snails have a very bad reputation among aquarists, and they can indeed be very annoying. However, they can also be a great addition to your aquarium, and there are plenty of species that are beautiful and interesting to keep. Hopefully this list has inspired you to give them a chance! If you’d like to know more about these snails or if you know of another great species to keep, be sure to leave a comment. Happy snail-keeping! Hello, I’m looking for some advice. I currently have a 10 gallon tank with a Betta, minow, zebra & kuhli loach. They are all getting along and respect each others space in the tank. I thought I wanted a mystery snail because they breed out of water and they won’t eat the plant. Will I end up with an infestation? Thank you very much’! I find your page helpful. In a 10 gallon tank I wouldn’t recommend a mystery snail as they produce quite a lot of waste and you’ll need a larger water volume to deal with that. On top of that, unfortunately I have to inform you that your tank is incorrectly stocked at the moment. Minnows, zebra loaches and Kuhli loaches are all schooling fish that shouldn’t be kept alone, nor should they be kept in a tank this small. 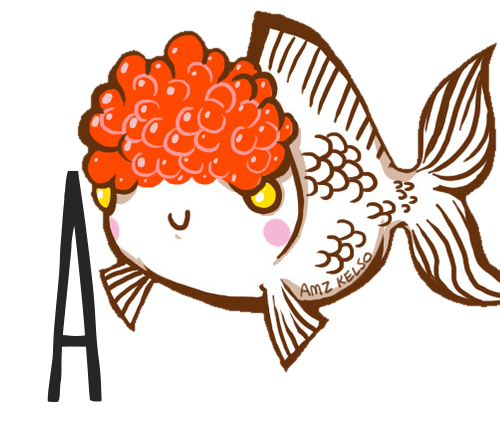 I strongly urge you to see if you can return all your fish besides the Betta to the aquarium store and then just stick to keeping only the Betta. The tankmates are too active for it anyway and it’s likely quite stressed, as are the other fish. Hi! Glad the article was helpful. Unfortunately a 5 gallon tank is not suitable for any kind of goldfish whatsoever. Your fish won’t live long in this tank and the added bioload of a snail would make it even worse. Please read this article, all the points apply to a 5 gal as well. A single nerite should be alright with a betta, though be sure to have a plan B on hand in case your betta labels it as food (which does happen occasionally). I wouldn’t recommend ghost shrimp with bettas! Im setting up a second tank I’m planing to do neon tetra or green neons in those to have a school fish tank as well do shrimp do well with those? My betta immediately thought of my two nerites in a 10 gallon as food, so she nipped their antennae. They retreated into their shells, and eventually she got bored of trying to bite through their shells and gave up. I feel bad for the poor little snails being nipped, but they didn’t seem to suffer any grievous harm. They’re now chomping away at algae as happy as a snail can be, and retreat into their shells if the betta gets any ideas. I got two nerites (3 weeks ago) for my freshwater 10G after 2 weeks of cycling along with 6 pygmy cories, 6 neon tetra and one betta. I considered the nerites to keep algae and leftover food in control, BECAUSE i read they dont breed in freshwater. BUT last night i noticed this very tiny little snail (2-3 mm) crawling happily along with one of its parents. im baffled. I didnt notice any others. Im looking at the positive side – does this mean my tank is successfully cycled and that the water conditions are so perfect that they are breeding? Nerite snail eggs hatch into larvae, that in nature would temporarily spend time in the sea and then return to freshwater. There is a chance they’ll survive in fresh water, but it’s very small. I’m afraid it’s more likely the baby snail you saw is a hitchhiker of another species! They often come with plants. Also, I’m sorry to inform you that neon tetras are unfortunately not suitable tankmates for bettas nor can they be kept in a 10 gallon. Your tank is also overstocked with the tetras in there. They need more room to swim and their bright colors and active swimming behavior stress bettas out. I’d try returning them to the store! Good luck! I hope the tiny snails do turn out to be nerites. You are right, they are not Nerite snails 🙁 some lucky hitchihikers.. spotted two other last night.. but i think the betta is feasting on them.. because they have vanished now..
well actually i do 1/4 water change every week so i think that will take care of the over-stocking.. BUT i 100% agree the neons would be better off with a little more room to swim… so i have got good plants, driftwoods and stones to provide good hiding spaces for them to be more secured and have more fun..
Mari, im happy i have someone to go to when i have any problems… thank you..
Glad you’re doing enough water changes. I still hope you’ll consider returning/rehoming the neons, though, as your setup is just not suitable for them. Also, sorry to hear the snails were not nerites! It’s possible your betta is eating them, mine didn’t touch them but they have very different temperaments and preferences. Hopefully the problem will solve itself this way! lies all lies this is a load of crap all of these snails will eat your fish they get to 10 inches each!nah im just kidding its true they are good snails but i cant seem to find a true apple snail in georgia..
That was all part of my master plan to ruin your setups, haha! Also, apple snails are illegal in some states I think, that may explain it. Lel I was just about to say!